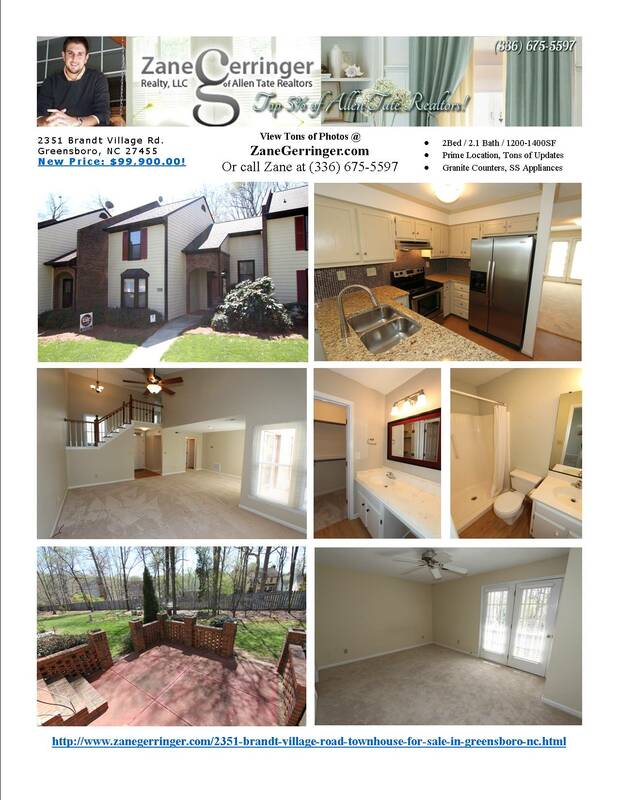 Come see this beautifully renovated townhome in Greensboro off of Lake Brandt Road! 2351 Brandt Village Road has granite counter tops, stainless steel appliances, a spacious & versatile floor plan, vaulted ceilings, built in bookshelves & more. There's a huge, brick patio for grilling & entertaining, a versatile eating area in the kitchen as well as a dining area off of the living room that would also function well as an office space. Rest easy knowing you're buying in a fantastic Greensboro location in 27455 down the street from Greensboro Day School as well as the fact that this property has been completely updated for your enjoyment. Even the roof and windows are newer - not a detail missed! Appointment Only. 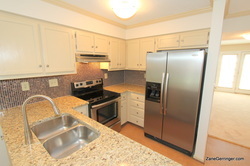 Questions about 2351 Brandt Village Road? 2351 Brandt Village Road, Greensboro, NC is marketed by Zane Gerringer of Allen Tate Realtors in Greensboro, NC.